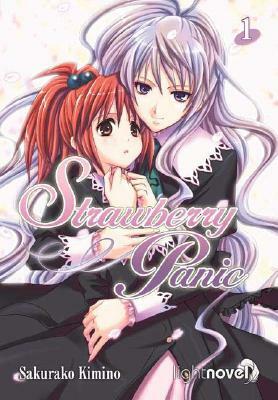 "Strawberry Panic," the first "yuri "light novel in North America, is set at Astrea Hill, where three exclusive all-girl schools converge. At St. Miator Girl's Academy, gentle breezes scatter cherry blossoms across its lush campus. Nagisa, a normal and cheerful high school student, is stunned when she meets Shizuma, the school's top student, whose beauty takes her breath away. When Shizuma unexpectedly reciprocates Nagisa's feelings, both love and wacky chaos soon erupt. .
Sakurako Kimino is the creator of the popular bishojo manga Sister Princess and Strawberry Panic.